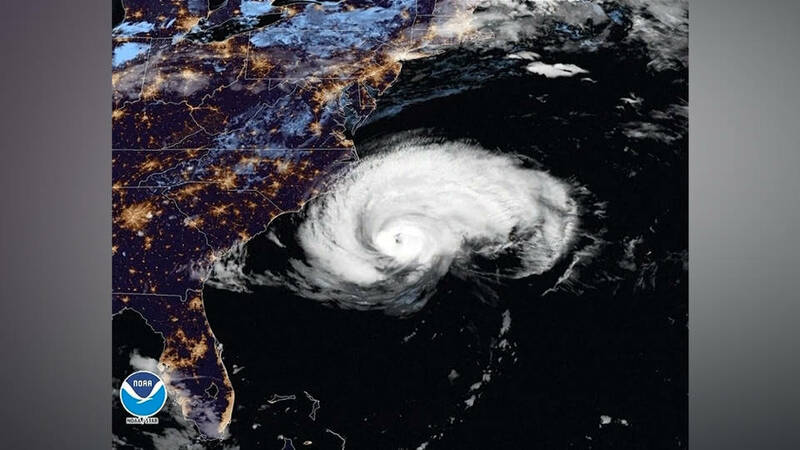 In North Carolina, South Carolina, Virginia and Georgia, millions of residents are bracing for today’s arrival of Hurricane Florence, which meteorologists are warning could unleash life-threatening storm surges and historic flooding across a wide swath of the East Coast. While Florence has now been downgraded to a Category 2 hurricane, experts are still warning its impact could be “catastrophic.” This is North Carolina Governor Roy Cooper. Hurricane Florence is also expected to cause widespread environmental damage, including triggering catastrophic waste spills from sewage treatment plants, hog waste lagoons and chicken farms that line the Carolinas coast. In North Carolina, the billion-dollar pork industry is clustered in the eastern part of the state, directly in the line of the storm. Many of these factory hog farms store their waste by spraying it on nearby fields and neighborhoods, or by depositing it in lagoons that can overflow during hurricanes, causing the toxic pig manure to pour into nearby waterways. 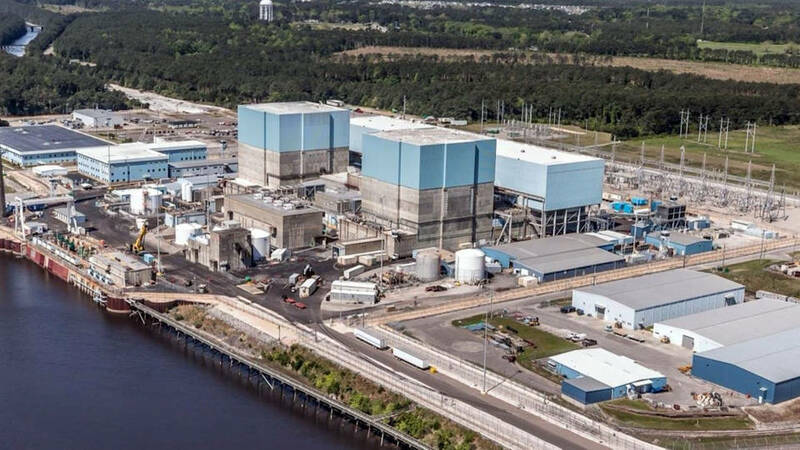 At least nine nuclear facilities also lie in the storm’s path, including Duke Energy’s Brunswick nuclear plant in North Carolina. Brunswick’s boiling water reactors are similar to ones that melted down at the Fukushima nuclear plant in Japan in 2011, after a massive tsunami there. Meanwhile, evacuations are underway in the Philippines where Super Typhoon Mangkhut has reached the strength of a Category 5 hurricane. The storm already caused power outages and flooding on Guam, where the governor has asked President Trump for federal aid. The typhoon is expected to make landfall in the Philippines Saturday before barreling toward China, Vietnam and Laos. We’ll have more on Hurricane Florence after headlines. President Trump is facing widespread backlash after he tried to claim Tuesday that his administration’s response to Hurricane Maria in Puerto Rico last year was “an incredible unsung success,” in response to questions about what we could learn from Hurricane Maria as Hurricane Florence approaches the Carolinas coast. Hurricane Maria killed up to 3,000 people—if not more—making it the deadliest storm in U.S. history. This is San Juan Mayor Carmen Yulín Cruz, responding to Trump. Trump once again attacked San Juan Mayor Carmen Yulín Cruz, tweeting: “We got A Pluses for our recent hurricane work in Texas and Florida (and did an unappreciated great job in Puerto Rico, even though an inaccessible island with very poor electricity and a totally incompetent Mayor of San Juan). We are ready for the big one that is coming!” But it wasn’t only the mayor who criticized Trump. 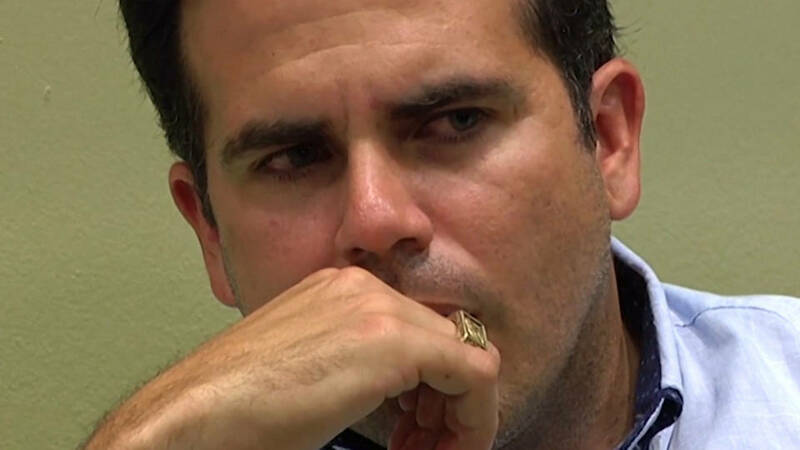 His ally, Puerto Rico’s Governor Ricardo Rosselló, also attacked Trump, saying, “No relationship between a colony and the federal government can ever be called ‘successful’ because Puerto Ricans lack certain inalienable rights enjoyed by our fellow Americans in the states.” Meanwhile, the Trump administration’s response to Hurricane Maria faced even more criticism Wednesday after the publication of new photos showing millions of bottles of water meant for hurricane victims still sitting unused on a tarmac nearly a year after the hurricane made landfall. In immigration news, The New York Times reports more migrant children are currently detained than at any other time in recorded U.S. history. The Times says at least 12,800 migrant children are currently imprisoned inside over 100 federally contracted facilities across the country—a fivefold increase over this time last year. 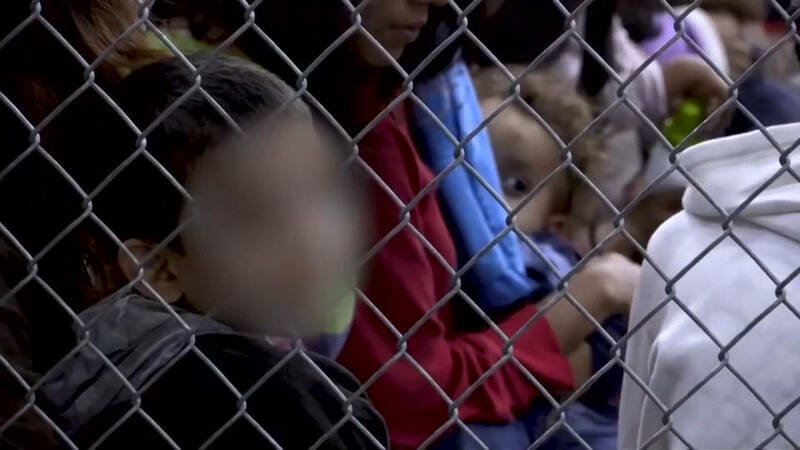 Most of the children arrived in the United States without their parents and are now in the custody of the Health and Human Services Department’s Office of Refugee Resettlement, as the Trump administration has resisted releasing them to live with their families or other sponsors in the United States.